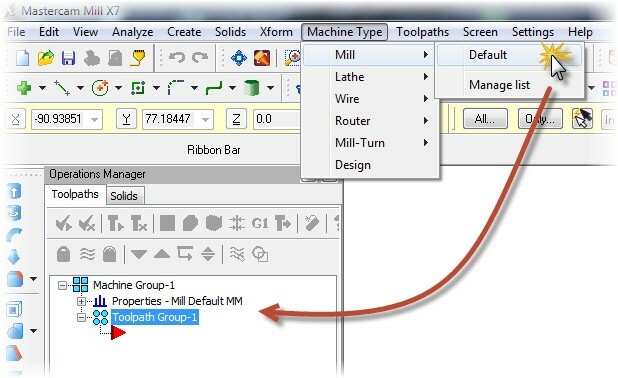 Click on the Program settings icon for any Wire machine group in the Toolpath Manager. Use the Program settings tab to set the program number and sequence numbers to be used when you post process the wirepaths to an NC file. Mastercam applies the Program # option to any operations created after you set the program number. If you change the program number, only new operations get the new program number. To change the program number of existing operations, select an operation and right-click in the Toolpath Manager. Choose Edit selected operations, Change program number. Enter the start and increment numbers that Mastercam assigns to each line in the NC program when you post the operations. If you change the sequence numbers, Mastercam updates the sequence numbers for any operations in the machine group.